Sports Betting: When it comes to traditionally betting a single game against the spread, in theory, the house edge is 4.76% without taking pushes into account. Other factors come into play though. Bookmakers do not usually make the spread with a 50/50 outcome in mind, but rather make the number one in which they think will attract 50% of the money each way. This could create an underlay on the dog when a good and popular team is favored, for example. Three team parlays generally pay 6-1, but there are 8 outcomes which means the edge is 12.5% if random selections are made. Vegas publishes their win rate. Collectively on sports betting it is just a little more than 5% of total handle (it varies very slightly year to year). Lotteries: State lotteries generally payout approximately 50% of the total money taken in. Comparing horse racing to lotteries in often done and always silly. When someone buys a lottery ticket they are usually buying a dream, it is an entertainment expense in a way as one fantasizes about retiring to their own Island. Scratch lottery tickets, have an expected payout range in line with horse race exotic wagers. Blackjack: If one plays by the rules without counting, the house edge is only .5%. Though, it sounds like the best bang for a gambler's buck, a bankroll can disappear pretty quickly when playing 75 hands per hour. Still, the game is still perceived as beatable mostly thanks to stories of counters being barred by casinos. Craps: Odds on resolved bets range from 0% to 11%, and the collective edge the house has is around 1-1.5%. This is a game that is somewhat complicated and mathematically impossible to win at long term for even the best players, not the best of combinations. Slots: The house edge on slot machines ranges from 2% to 15% (collectively around 8%). The exact amount a machine wins long term can be programmed by the operator. Unless one hits a huge progressive jackpot and then quits slots, this game is impossible to win at long term. Some operators have admitted to "loosen" machines at peak hours. The theory behind this is when the casino is full, the sound of winning will help hook players for more repeat business. 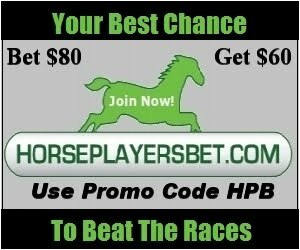 When it comes to horse racing, an argument can be made that is the reverse of this, higher takeout on bigger days because many just play on big days, while dropping takeout the rest of the year to keep the regulars in action longer while keeping them from focusing on other forms of gambling. This approach hasn't been tried yet. Roulette: Thanks to O and OO the house edge is 5.26%, as long as the wheel doesn't have any flaws. This game is far less intimidating and a little less social than craps and it requires the same zero skill level as slots. If you play roulette for 14 days straight, you will lose over 5% of your total wagers. Poker: The rake for poker is 2-5%. Skill is involved when it comes to knowing probabilities, and if playing live, reading other players. A player with superior skill has a chance to win long term due to relatively low rake. Daily Fantasy Sports: DFS was growing exponentially in popularity prior to state regulations. DFS likes to call their house edge a commission, and whatever you want to call it, it is around 9-12%. It is definitely a game of skill as well as it is gambling. Estimates are that the top 2% of the total players make money and also are responsible for a very high percentage of what is played in total. This means that at this time, for those with superior skill, the game can be beaten long term. DFS is extremely similar to horse racing when it comes to degree of difficulty and homework needed to make good selection, though horse racing handicapping has a higher learning curve. DFS seems to be attracting players, especially millennials, because it is perceived as beatable by at least a few.